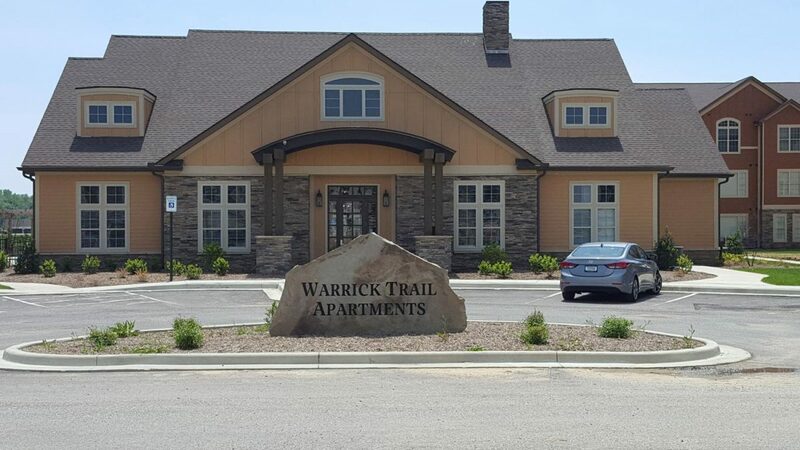 Designed to offer residents ‘resort-like living’, Warrick Trail Apartments is the first major residential apartment complex entering Warrick County from Evansville. 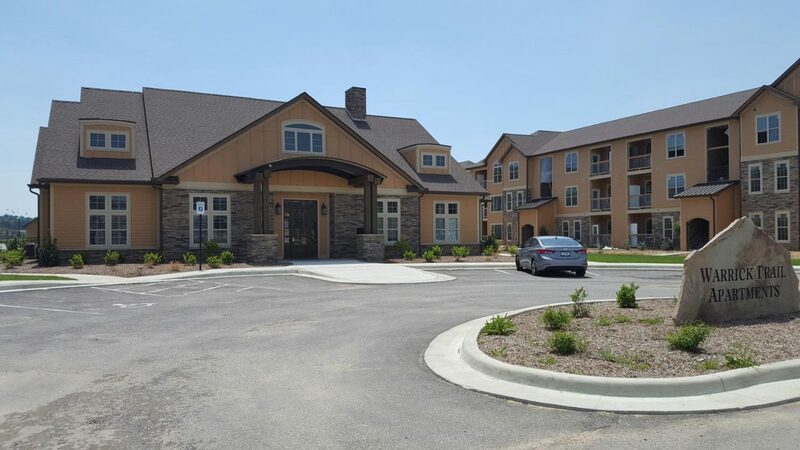 Their 1, 2, and 3 bedroom apartments are loaded with amenities and are a great housing resource for the town of Newburgh, IN. 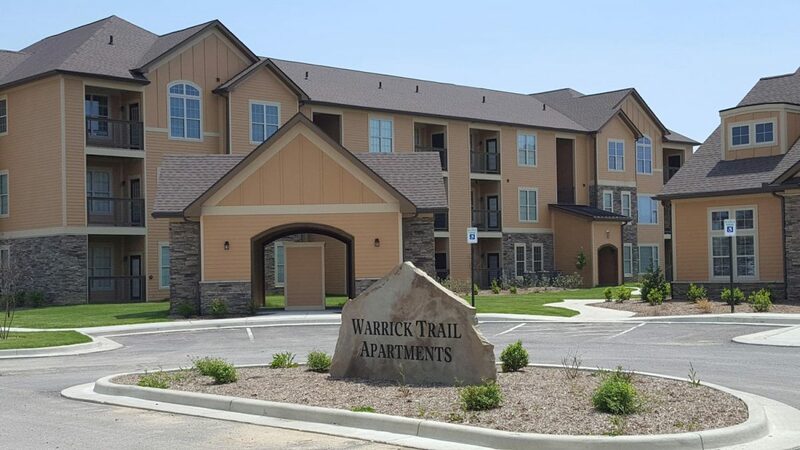 Located along the new Warrick Trail, this new apartment complex was built on the site of a previous subdivision, which included roadways and existing utilities. The local Area Plan Commission would not issue building permits in certain areas until utilities were relocated and the easements were vacated. 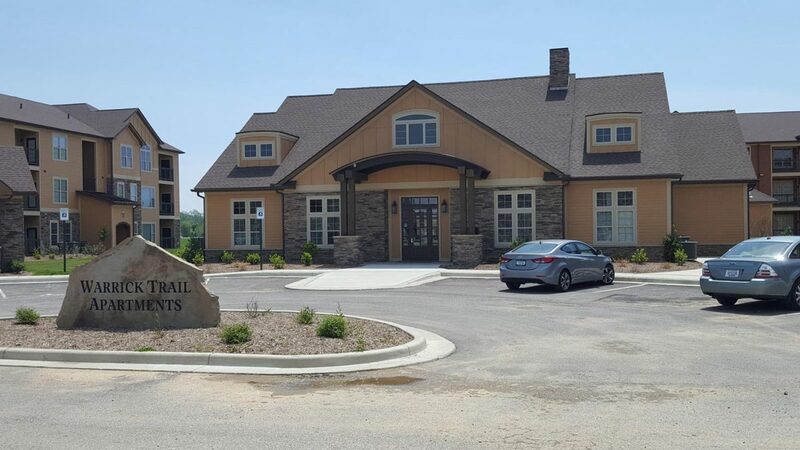 Our Engineers designed site improvements including utilities and parking lots as well as assisted the owner in bidding the site work and selecting a contractor. Our Surveyors created the subdivision in which the new site was located, as well as staking out all the proposed improvements for the site.